Sephora’s sustainability journey is guided by the belief that together we can protect and preserve the health and beauty of our planet. We take action to cultivate sustainable practices in our retail spaces, at our headquarters, and throughout our supply chain. From environmentally responsible packaging to conscientious energy consumption, we see every challenge as an opportunity to innovate. What we purchase and who we purchase from has an impact. Together, with our partners throughout the supply chain, we focus on product safety, sustainability, and working conditions that foster the greatest good. We have innovated our retail spaces for improved energy use in an effort to reduce our greenhouse gas emissions. Outside our stores, practices such as using zero-emissions vehicles reduce our carbon footprint. Ecodesign is how we reduce waste in our stores and from our packaging. By embracing efficient design, and encouraging the brands we carry to do the same, we save resources while incorporating recyclable materials. Our sustainability efforts begin with leaders inside Sephora. Together, we map the course for our areas of focus—suppliers, climate, and ecodesign. We incubate ideas through pilot projects and test them in order to determine what is most effective, efficient, and scalable. The Sephora Sustainability Leadership Council and Green Team educate employees so they can share knowledge and put sustainable activities into practice at every level of our company. Sephora has initiated a zero-emissions vehicle “last-mile” delivery program to our retail locations in and near San Francisco to reduce emissions and transportation-related pollution. 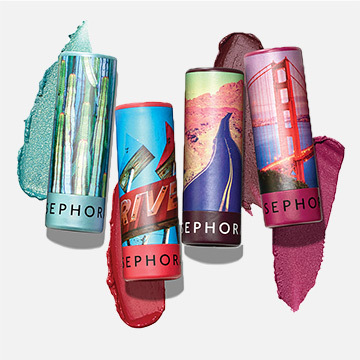 Sephora created an ecodesigned lipstick packaging that uses less plastic and more plant-derived inks. 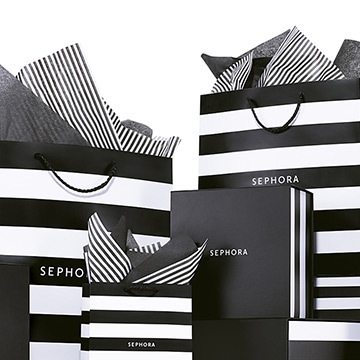 Sephora shopping bags are constructed from recycled material and are recyclable. Sephora retail locations across the country consume less energy with our online Energy Management System (EMS) and LED lighting. “We aspire to be the most loved beauty community in the world, and as part of this, Sephora has a responsibility as an industry leader to help benchmark exemplary environmental performance. New technologies, equipment, and eco-friendly materials are being introduced all the time and impact every aspect of our business—architecture, store operations, logistics, and products."